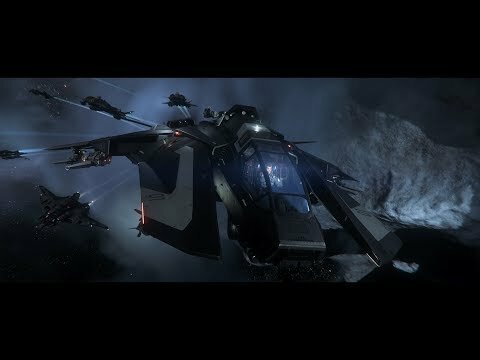 What is Star Citizen ? It’s worth mentioning that during CitizenCon 2018 “Cloud Imperium Games” announced that the main campaign (Squadron 42) is complete, they just finishing up the last bits. There are countless of ships to choose from, regardsless of what you wanna do in the game, you can tailor make the ship for you, you can even tailor make the game experience itself for you. There are no limitations or boundaries of what you can do. We can all agree that this is a game of massive proportions, no one in gaming history has even undertaken a game of this scope. The game is running on a heavy modified cryengine with VR support and other techs called “VoIP and FoIP”. Voice over IP isent new to the gaming branch, however FoIP is. Face over IP means that you can with a decent cam get motion on your character head ingame while the cam using ingame technology to copy motions of your own face. In short that means, if you talking to a ship, the guy in the other ship can see the expression of your face whether you smile, are angry or bored. So this game gonna require alot from your hardwares right ? It’s not as bad as you think but yes, to push the game on maximum settings you gonna need some power! So what about our own Organization ? For starters we are a swedish organization which means we only allow people that can make sense in swedish, it really doesnt matter which country you live in, but the swedish language is important. For information about how we run the organization you’ll see more of that on our own forums, you can find the button for that on the top of this page. Our Organization will do pretty much everything, trading, security, cargo/passanger transports, collect intelligence, reconnaissance missions, search and rescue, racing, patrolling, exploration, prospecting, mining and much much more. We even allow smuggling as this is a sort of trading that been around for centuries. For membership we want you make an account on our forums with your ingame character name, when the registration is done and we see you on the forums you’ll get an invite to the fleet. We are using TeamSpeak 3 for communication and you’ll get the login information during membership. Just to be clear, our Organization will never conduct piracy actions or operations. What our members do outside the fleet/organization is up to them, but if their piracy actions affects our own organization or our allies that/those members will be removed from the fleet. So be careful when conducting piracy operations, choose wisely. If you as a organization / fleet leader reading this. We are open for alliances.